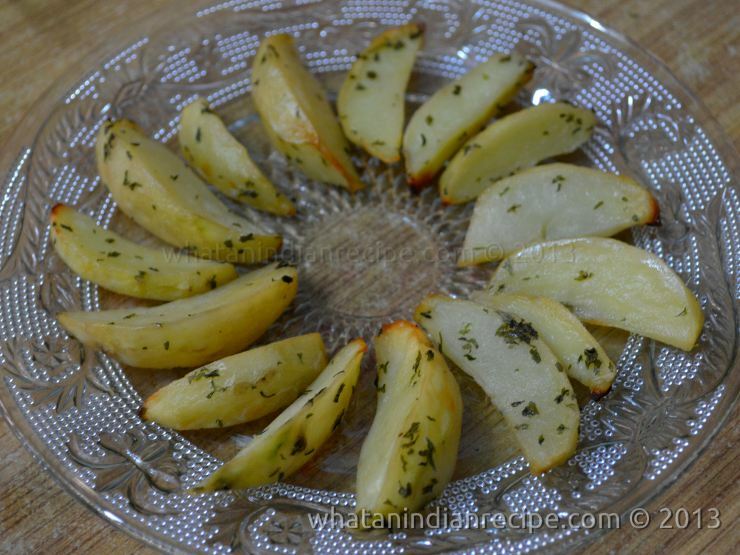 Baked potato wedges are really easy to prepare for kids, very minimal amount of oil is required and tastes really nice, and is healthy too.This is a much better option than french fries and even processed ready to cook wedges available in the market for everyone including kids. Ideal for kids’ school lunch boxes. Marinate the wedges with all ingredients except olive oil, and keep aside for 10-15 minutes. Grease the baking dish with little bit of olive oil and place the potato wedges on the dish, slightly rub olive oil on the wedges and bake it in a pre-heated oven for 15-20 minutes or till the potatoes are cooked at 180°C. Serve it with tomato ketchup.